After 3 years, I've knit one my children an actual garment. I feel ridiculously proud . Pattern is Jane by the super talented Tikki. Modelled by Miss almost 7 (who very much enjoyed the chance to 'have a pose') Funnily enough the last thing I knitted for her, back in 2009, was another of Tikki's designs! Knit in merino/cashmere 8ply - a mill end yarn that was part of Knit World's June sale. $3.90/ball it was a great score - nice and cushy and soft. The 'plum' colour is a deep crimson - very pretty. I only used 390m for a size 6 cardigan (with a bit of extra length in sleeves and body). This pattern is soooooooo economical! I made one for myself in January and it only used 400g of 8ply. I love the open front, the short sleeves, the cropped length. It's perfect for over summer dresses and with our (supposedly) warm climate this is a great choice for those slightly cooler days when you just need a little extra warmth but maybe not a full on cardigan. Love it :) and so does Miss N.
Found via a friends FB page (thanks neak). 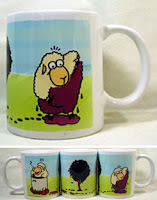 Knitting/spinning related mugs and postcards! Very cool indeed, I especially love the 'dye bath' design. I think I might have to get a pack of the postcards for using with swaps and other yarny type packages. They are perfect! Funky custom made teeshirts for those who love fibre. When you go the website you can choose the style/colour of teeshirt and graphic for the perfect tee for you. I particularly love "the dog ate my lace knitting" and "she was caught playing with fibre" designs. Go check them out! Olive and Emma yarn is a new indie dyer in the NZ scene. She also updates weekly via facebook and is running a ballot sale tonight (so you dont have to be first in). Featherbrush yarns is based in Christchurch and sells via her website and is available for customs. 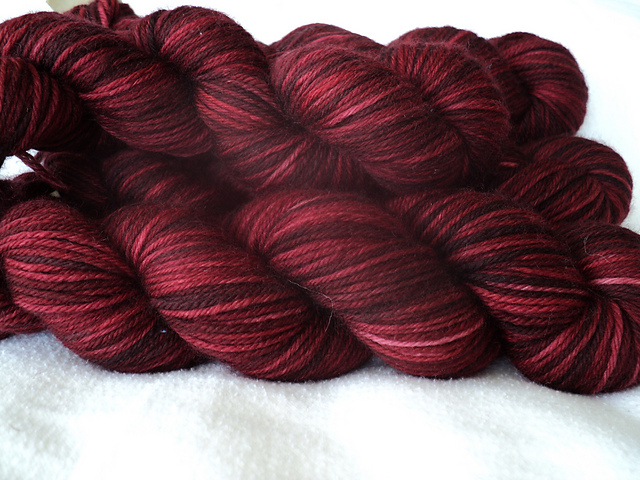 This is my delicious 'cherry' in 8ply I bought from her opening sale. And finally something not so cool. Ravelry has been sent a cease&desist letter from the US Olympic Committee for infringing on the USOC's intellectual property rights by using the term "Ravelympics" and further that the event is 'denigrating' the athletes by the use of event names such as afghan marathon. Sometimes I am very glad to be living in a country that does not litigate like the US does. I can't really add anything that The Magpie Knitter hasn't already said so go check out her blog post. Seriously, wonder what the world is coming to sometimes! If you've got something knittingcool that you've spotted this week please share! The last time I knit an actual garment for one of my kids was... 2009!!!! Since then I've made them socks and scarves and toys but no actual garments. My enthusiasm for kid knit tends to wear off at about size 2 apparently. Last week I finished a cute little knit for Tikki, testing the latest in her 'sisters' patterns. So far there is Jane (the adult version which I knitted for myself back in January) and Elizabeth. Suzanne is in the final stages of testing, and Tikki is currently working on Annie/Anabel. This is the 'winter' sister - a snuggly winter jacket that includes a pretty daisy stitch (which also features on Suzanne) and optional hood. I really loved the look of this pattern and signed up to test knit, making a little one to gift to a friend who is having a baby this Northern Hemisphere winter. I knit it in Family Roots Worsted which I got in a co-op last year. Size 3mth. More details here. It's very cute and small and was such a pleasure to knit. It reminded me of all the reasons why I love to be a knitter - creating special pieces to gift to loved ones, and the added bonus of lots of cute. Fingers crossed my friend has a girl baby!!! The pattern should be released sometime in the next month or so. 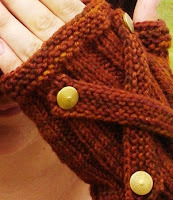 Keep your eye out in Tikki's group on Ravelry. She has a lovely range of modern childrenswear and is one of my favourite designers - her patterns are always clear and the finished garments are something kids love to wear. After making the Anabel jacket I decided that I really wanted to make one of my kids something. Miss 10 is a bit big now, and Miss 4 politely said "no thanks" when I asked her so it looks as though Miss almost7 will be the winner on this. She's the one most likely to wear cardigans and knitting anyway so it's a win for me too. So, after 3 years I've cast on for something for my kids. A Jane cardigan in a beautiful deep crimson that DD picked herself. Knitworld has a big sale on at the moment which included a mill end 8ply merino/cashmere for less than $4/50g so I got a couple of cardigan lots for her. We'll see if it takes me another 3 years to actually get around to knitting them up! I absolutely adored this book. I listened to the audio and Jim Dale's voice only enhanced the whole experience of " Le Cirque des Reves" - and yes, reading this book is an experience. There is very little plot, hardly any action and secondary storylines (such as the romance between the two magicians) are almost an afterthought when compared with the experience of the circus itself. Le Cirque is, in a way, the main character - something looming in the background of every scene, touching the lives of all the other characters in different ways. The descriptions of the circus, and the magic, are lush and decadent, and in places the writing reads like beautiful poetry. There is an abundance of thoughtful imagery and stunning metaphors and it is simply quite exquisite. I loved the third person/present tense style of writing which gives everything a detached aloofness which I think only adds to the magical dreamlike atmosphere. This is definitely a book which will polarize readers. If you are prepared to just soak in the magic, if you like "atmosphere" and have an appreciation for imaginative descriptions then you will enjoy this book. If you like 'your magic' to have rules and parameters and for all the hows/buts/whys to be covered off then this book will likely frustrate you. It requires significantly more suspension of disbelief than many books. There is also (despite what the description might suggest) very little action with the 'magician's duel' more aptly described as flirtation by illusion. I had very little expectations going into this book, knowing only that there was magic, so the lack of thrilling magical 'fierce competition' didn't bother me though I suspect some readers will feel ripped off by the slow burn of this book. 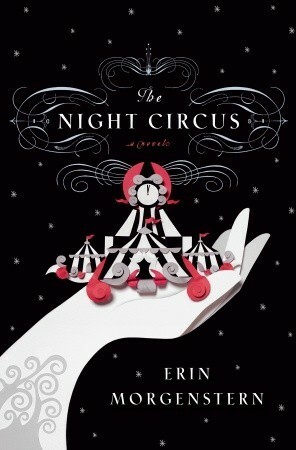 Dreamlike is something Le Cirque strives for and I think Morgenstern has achieved this quality in her writing too. Very evocative, clever and enthralling, I listened to this book as if caught in the circus's spell. I particularly enjoyed the more sinister side of the circus and the key players, giving everything a darker edge to what would otherwise maybe be 'too pretty'. Likewise, I also thought the ending (particularly "bonnes reves") added a satisfying completeness to the novel. I will certainly be watching for more of Miss Morgenstern's works, an easy 5 stars and place on my favourites shelf. Book Review - with thanks to Dreamspinner Press for the advanced copy. Set against the backdrop of a damaged nuclear reactor, Derek Marshall - a tough, out and proud, sometimes obnoxious robotics engineer is forced to work alongside the uptight and reserved Sambit Patel in order to get the critical, and potentially catastrophic, situation under control. What emerges is a classic tale of opposites attract - out of an initial mistrust and outward dislike of each other, the two men find that in actual fact they have more in common than they think. Tachna also adds a cultural dimension to the mix - Patel, born in India, must also deal with the constraints and expectations of his culture. This aspect, I felt, was done very well. The author doesn't overdo the Indian cultural references- giving just enough to add another layer to the story without it every feeling 'preachy'. It is obviously a subject she knows well and it was perhaps one of the aspects of the story I most enjoyed. 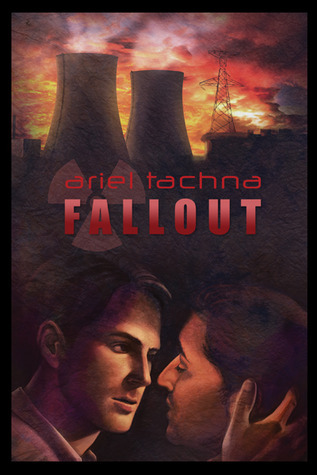 While the nuclear situation provides a tense and at times claustrophobic atmosphere to the story, the real story is the two men and their slow falling from distrust into love. Derek is a tequila drinking motorbike riding loner with a foul mouth - but he stole my heart when he rescues an abandoned dog in the first chapter. As we get to know him and his motivations, we see he isn't as tough as he makes out and he puts his heart on the line for Sambit. Sam too, undergoes his own transformation - from someone wounded by the past to someone who gives up his fear and takes a risk. The characterizations are the strength of the story, but Tachna does a good job of presenting a post-hurricane environment (I loved her descriptions of the heat) and the urgency of the situation at the plant (without it getting too scientific for the average reader). Fallout is a solid 3.5 stars read. There is perhaps nothing unexpected here, but for a satisfying light romance novella, look no further. This year Tri'Coterie has been running a steampunk inspired yarn club called Tinker, Knitter, Octopod. So far we've sent out Octopod. This included a skein of deliciously soft alpaca/merino singles (DK). This was a new base for us, and is very soft and lofty - perfect for neckwarmers or scarfs, anything where you want super soft against your skin. Also included as the 'swag' were some octopod and knitting charms (and a mini skein to make an icord bracelet), and some octopod tattoos. With each package we've also been writing a little short,short story (200 word drabbles) to set the scene. The pattern accompanying this was for a Victorian snowflake cowl. Here's the one I made (in the club yarn) as a test knit for the pattern. I'm pretty pleased how these turned out - I like the look of the military buttons and I think the buckle band just gives it something a little different. We sent the 'hardware' as the swag so people can start knitting their gloves straight away. And due to be sent this month is Knitter. I love the pattern for this one, more details soon. The club has been a really fun one to put together - from writing the little stories, to designing a steampunk pattern - my first 'manly' pattern too - and helping put all the pieces together. We've got plans for my clubs this year, so keep your eye out at the Tri'Coterie group on Ravelry. We also have a facebook page now, so if you'd like to keep in touch with the happenings like our page and choose 'show in newsfeed'.